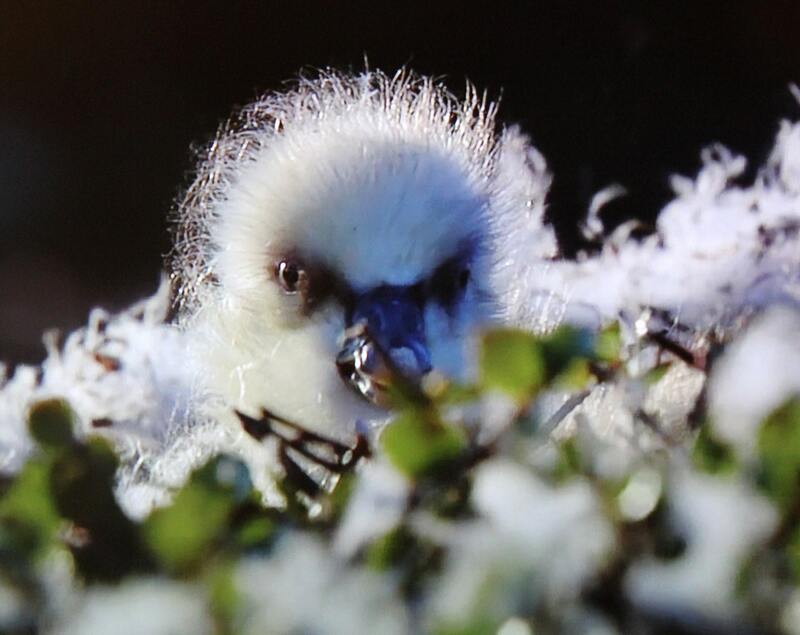 This is a cygnet - a baby swan. I was out photographing birds slogging around in the slough by my house in northwestern Montana in late spring. I had just finished taking a pictures of another bird and went to take a step out of the water lilies when this little head popped up. I instinctively snapped the shutter and got the shot of this little one. Then it occurred to me what I was looking at and thought "Wow! Where's your mother?" I got out of there as fast as I could go through the water and weeds. Swans are notoriously bad tempered parents that bite viciously and smack with their giant wings to defend their nests and young.